Hastings Pier is a legendary rock venue where bands like Jimi Hendrix, The Stones, The Who, Pink Floyd, The Kinks played back 60’s and 70’s. Despite several refurbishments it had fallen into disrepair and was severely damaged by a fire in 2010. It is now being rebuilt and we’ve salvaged the old hardwood decking boards to make furniture for the new pier, due to open in spring 2016. 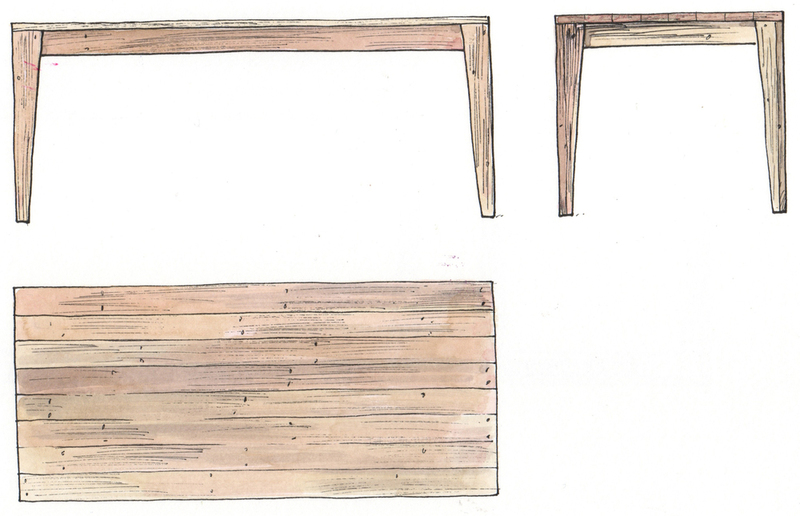 We are also making a range of Pier Wood tables, chairs and benches in bespoke and standard sizes for the domestic market. Boards butted and glued together as a solid top. Boards fixed to classic German-design, galvanised folding chair frame. The old clinker-built wooden boats of Hastings fishing fleet inspired this table and the steel legs take their shape from the rigging used to haul in the nets. 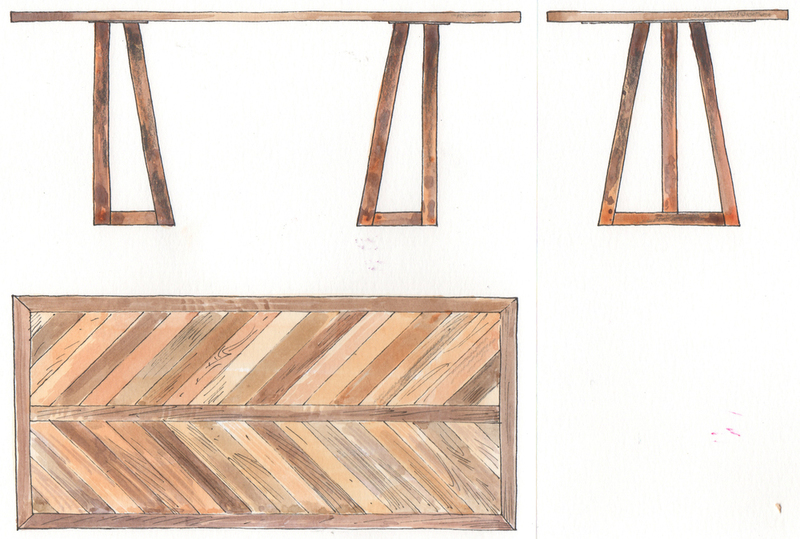 We made the original table for the Jerwood Gallery Café, which overlooks the fishing beach. The tabletop is available in a satin or glossy finish and the steel legs have a lacquered rust finish. Our vintage scaffold boards are just the job for SHELVING and at HARBOR we have years of experience in making them look their very best. The standard width is 220mm but if you need wider shelving we can pressure glue boards together. The standard board depth is 35mm. The simple price per metre guide will give you a rough idea of what your shelving will cost and we’ll help fine-tune your order. Our reclaimed Douglas Fir boards have a distinctive character that’s still visible after they’ve been sanded smooth. And we offer the choice of natural wood treated with a coat of varnish or a washed paint finish. In the rough and tumble of the scaffolding industry colour-coded, embossed metal strapping is used to protect board ends. We remove the metal but instead of sending it for scrap, we restore the straps and put them back onto our shelving units as a design feature.